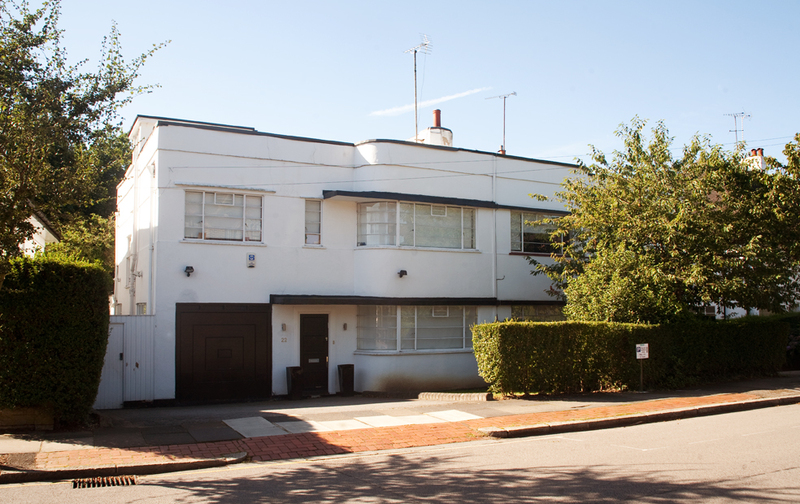 Notes: 5 streamline moderne style houses in this Hampstead Garden Suburb street. It appears pitched roofs have been added to the flanking houses. Brian Herbert provided illustrations for H.Myles Wright’s Small Houses £500-£2500 book.